Being a person who religiously has dyed her hair since the age of 16 my hair gets quite knotty especially after washing it. Theres nothing worse than tugging and pulling at your hair because you end up loosing half of it and thats definitely not the result anybody would want. I've tried so many hair treatments and conditioners, I've also broke numerous amount of brushes trying to de-tangle and condition my hair but nothing works. Until a certain angel entered into my life (see what I did there). Tangle Angel is a professional de-tangling brush thats heat resistant, anti-static, water resistant and antibacterial. I have previously used a tangle teezer but to my surprise it wasn't strong enough for my hair so when the Tangle Angel* came through my letterbox I was more than excited to see if it would be able to survive the hot mess that is my hair. So I went ahead and washed my hair and then after that applied my leave in conditioner and heat protectant spray and it was finally time to try out the brush. To my surprise it lasted! Absolutely no bristles were lost nor were they damaged. Finally my hair prayers has been answered thanks to the Tangle Angel. I've gone ahead and ordered another one to have in my collection for myself because not only are they great brushes but just look at how gorgeously designed they are. I especially love the fact that they are heat resistant and anti static. When I'm in a rush I tend to blow-dry my hair straight using a brush and being able to use this is great because it easily glides through my hair without a problem. The anti-static factor is also a plus because theres nothing worse than when you're styling your hair and it looks like somebody is holding a balloon over your head. Coming in numerous colours and sizes, they even have a range for your pets which I personally think Sheldon my Guinea Pig would love! Prices range from £12.95 which in my opinion for a brush that holds up against my hair is a pretty darn good price. I've been using this brush since receiving it and I am absolutely obsessed with how good it is! Finally the hair gods have answered my prayers! 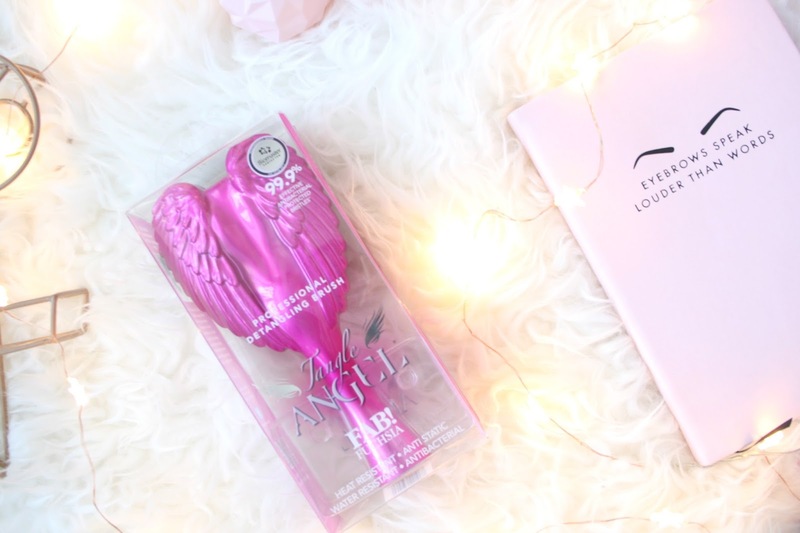 Have you tried the Tangle Angel yet?